Wondering what the snow forecast is this year? 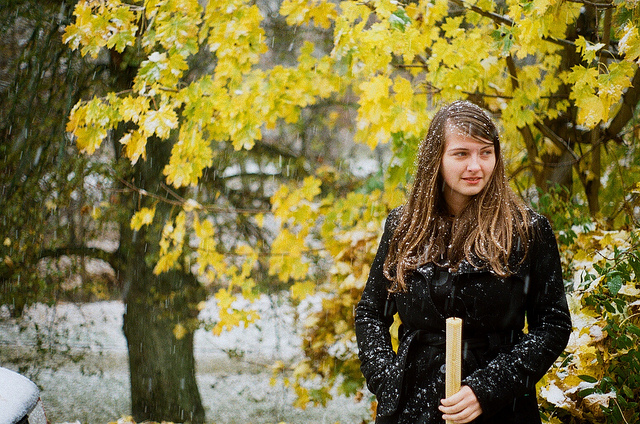 The first snow of the season is something that many people look forward to and others dread. Sure, snow is beautiful and it seems things always look better under snow anyway. But what about scraping ice? And digging out just to leave your home for work, school, or play? Love snow or hate it, knowing when the first snow of the season will fall is something just about everyone in the snowy parts of the nation wants to know. Of course, there’s no way to really predict when and where the first snow will fall. But it’s safe to say there are a few places where we know snow tends to fall early in the snowy season — often long before winter. Denver, Colorado – The Mile-High City is no stranger to September, October, and November snowfalls. In fact, the earliest date of first snowfall in Denver was September 3, 1961 — that’s still summer! The average date of the first snow in Denver is October 19. Chicago, Illinois – The Windy City has twice seen its first snowfall on September 25, both in 1928 and 1942. But the average date of first traceable snow in Chicago is October 30. Upstate New York – Turn on the weather news station anytime during the winter and chances are you’ll see video of people in Rochester or Buffalo, New York digging out from under snow drifts 10 feet tall. It’s no surprise that both Rochester and Buffalo have seen September snow. Both Upstate New York cities have seen their earliest snow fall on September 20, 1956. 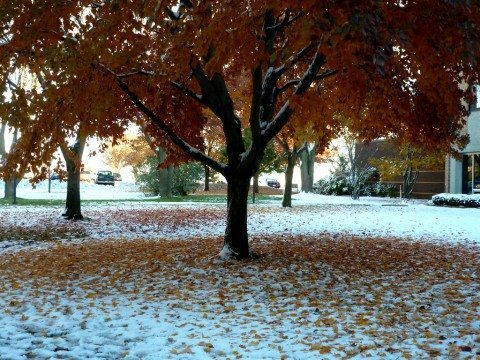 The average date of first snow for Rochester is October 23 while Buffalo usually gets its first snow on October 24. The Plains States – Things can go from hot to cold pretty quickly in the Plains states. While summer temperatures can easily swell above 100 degrees Fahrenheit in the summer, early snowfalls can also occur during mid September — which is still officially summer on the calendar. Case in point: North Platte, Nebraska recorded a trace of snow on September 11, 2014. That’s when Casper and Cheyenne, Wyoming also saw their first snow fall that year. Central Wyoming has seen snow as early as September 8 — an event that occurred in 1962. It’s tough to forecast weather just a few days, let alone a few weeks out. The snow forecast is no different. Trying to get a fix on whether or not you’ll see snow in October when it’s still August is pretty difficult to do. Generally, cities that have seen early snowfalls, such as places along the northern border of the United States, particularly cities near the Great Lakes, have a decent chance of seeing some snow in early autumn — or even summer — snow. High-altitude places, such as Denver and the ski resort towns of Colorado, and the mountain regions in New England, also have a good chance of September, October, or November snowfall. Weather forecasters can use climatological data — especially El Nino and La Nina predictions — to help determine whether or not there’s a strong, weak, or average chance of cold weather and snowfall during the fall and winter in your neck of the woods. While forecasters try their best to predict when snow may be coming to your town, but there’s no foolproof way to say for certain how early snowfall will hit nearby. Here’s a helpful guide from The Weather Channel showing when the first snow of the season typically falls across the U.S.
How Early Can Snow Fall?